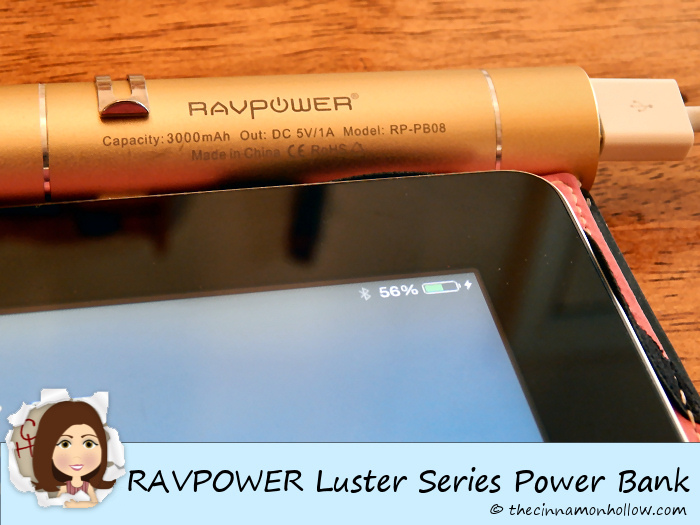 Disclosure: I received a complimentary RAVPower Luster Series Portable Charger to facilitate this review. All opinions are my own. Affiliate links may have been used in this post, to help offset the cost of hosting with no additional charges to our readers. If you like the item and decide to purchase, we receive a commission through the affiliate network. 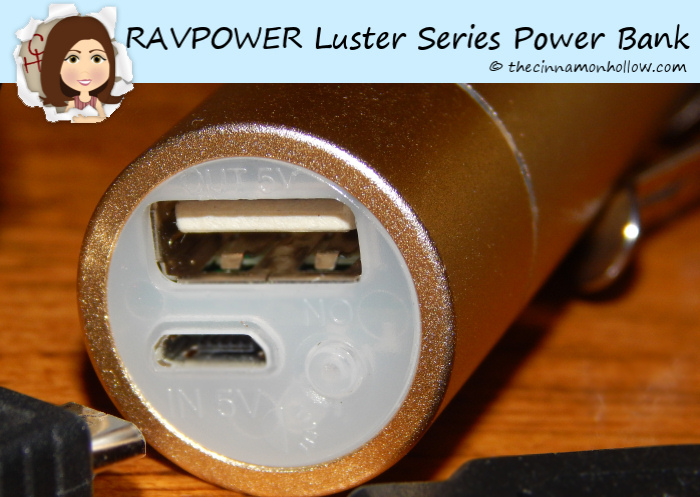 I have a favorite new, little gadget and it is the RAVPower Luster Series Portable Charger that I have been lucky enough to test out for free these last few weeks. We live in a period of time where we seem to always be connected to some sort of device that needs to be charged. Smartphones, tablets, iPods, you name it and we’re connected. And with that, there is a LOT of energy consumption. So we need to be able to charge quickly and, often times, when on the go. That’s why I love portable chargers. They are small, convenient and I can toss it in my bag or put it in a pocket and be on my way, knowing I can charge my phone on the go if needed. Like when we are on vacation. Or when my dad was on the hospital. I used my phone a lot and the battery power dwindled quickly. 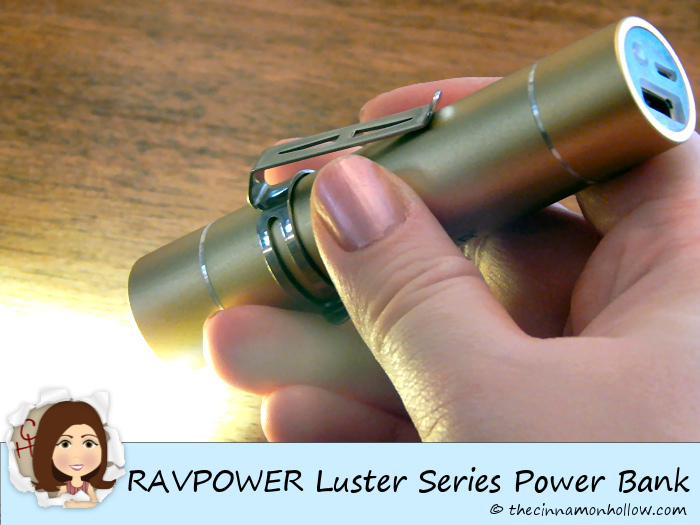 The RAVPower Luster Series Portable Charger is an awesome little gadget. 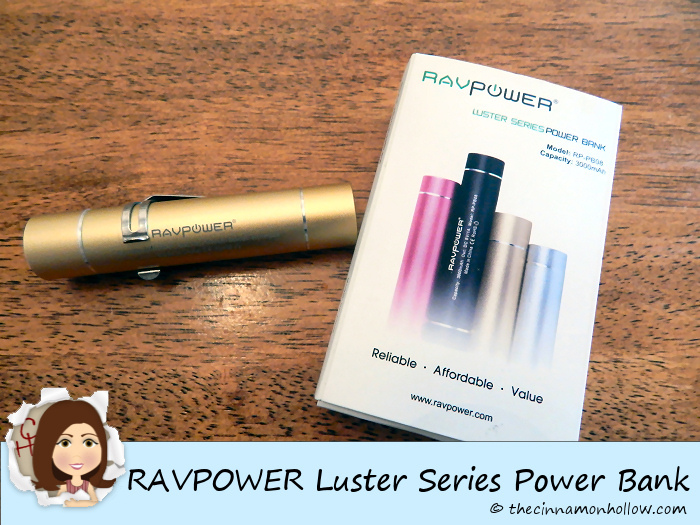 It slightly larger than a tube of lipstick (measuring a little over 4 inches long and weighing 2.57oz) so it fits in my purse, pocket or pack. The power bank offers 8 hours of talk time or one full charge to your device. I use an Android phone as well as an iPad and got a full charge each time on each device, after recharging the charger. 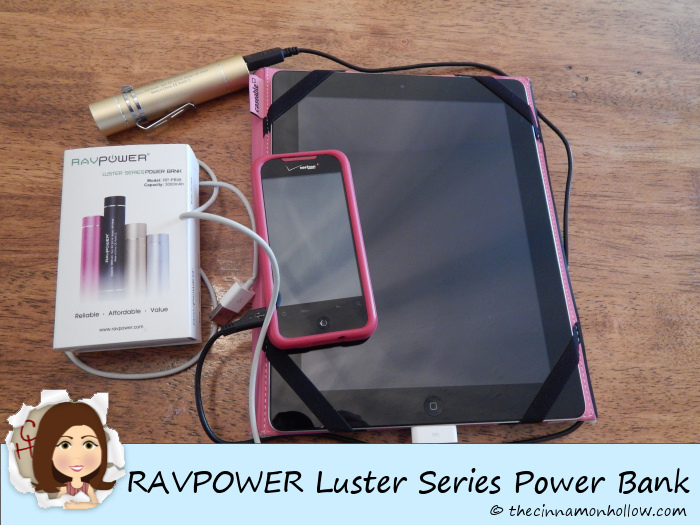 Actually I was able to charge my phone fully and then add a partial charge to my iPad on one charge of the RAVpower. The charger itself can be charged with the included micro USB to USB charging cable or you can use an AC to USB adapter (not included) if you have one. Input charging time is 4 – 5 hours. You can see in the photo below the input and output slots as well as the power button that operates a built in flashlight! The flashlight feature is really great. It has 3 modes which include to brightness levels and then a blinking/flashing mode for emergencies. In my opinion, the flashlight is an added bonus. This makes it great for travel, especially camping as well as during storms or the recent freezing, icy weather when the power goes out. You can use the same little gadget to see what you are doing that you use to charge your phone! It’s also great for finding your keys and unlocking your door at night. I haven’t had any problems with this little charger. So far, it has successfully charged every brand and type of USB capable device input I’ve tried with it. I’ve had no problems with charging my phone when on the go. I wondered if these really worked. My son could use one because he’s always out on the boat. I’m going to have to get him one for his bday! I love the one we received. I keep it in my purse so I have it with me at all times. Even if I don’t need the charger, the flashlight is a big help!